Happy Science is an organization that aims to cultivate people’s souls, and deepen their love and wisdom through learning and practicing in the teachings (the Truth) taught by Master Ryuho Okawa. Members study the teachings through books, lectures and seminars that impart spiritual knowledge about life and the world. They also practice meditation and self-reflection on a daily basis, based on the Truth they have learned. In this way, members deepen their understanding toward life, enrich their character and improve their leadership qualities. As a result, they are empowered to contribute to the development of the world. Happy Science is a non-profit organization, so our main source of funding comes from the donations offered by our members and by the people who sympathize with our ideals. Depending on how deep your soul feels connected to the Truth, you can join us as a member or as a devotee to the Three Treasures: Buddha, Dharma and Sangha. How Can I Become a Member of Happy Science? All Happy Science members have faith in El Cantare, the supreme God whose mission is to bring happiness to all humanity. The teachings of El Cantare go beyond differences of all religions, all nations and all races, Happy Science is a religion that unites and is open to everyone. Happy Science welcomes all people who want to improve themselves through the Exploration of the Right Mind and daily practice of The Fourfold Path of Love, Wisdom, Self-Reflection and Progress. Through improving ourselves, we are able to bring positive changes to our families, society and the world. In other words, contributing toward creating utopia on Earth. To join Happy Science is a precious moment in everyone’s life. A ceremony will be held in accordance to the type of membership you choose – a member or a devotee member. Please contact us at your nearest local branch, local temple or missionary center for further information. Depending on how deep your soul feels connected to the Truth, you can join us as a member or as a devotee to the Three Treasures: Buddha, Dharma and Sangha. Members receive a small prayer book called The Dharma of the Right Mind, which contains the basic Happy Science sutra “Words of Truth: The Dharma of the Right Mind” as well as the two sacred prayers: “Prayer to the Lord” and “Prayer to Guardian and Guiding Spirits.” If you are interested in becoming a member, please visit your nearest local branch, local temple or missionary center, where you will be able to apply for membership. 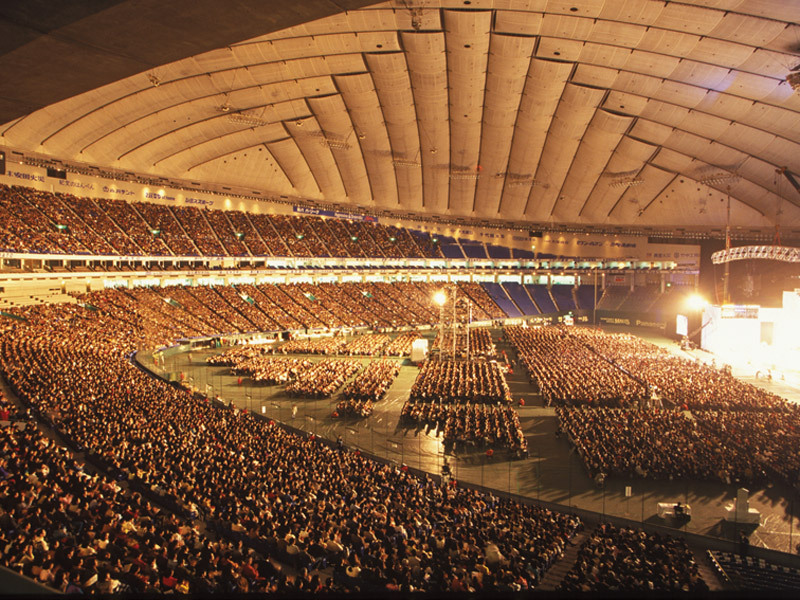 A short ceremony will be held to welcome you as a precious member of our happy family. *All Happy Science prayers hold great spiritual power as they come from the highest realms of Heaven, and are directly inspired by such consciousness as El Cantare, Shakyamuni Buddha, Hermes and Jesus Christ. “The Dharma of the Right Mind” is our main sutra (prayer). This prayer contains the core teachings of Happy Science, and extensive explanations of this sutra can be found in the number of books written by Master Ryuho Okawa. 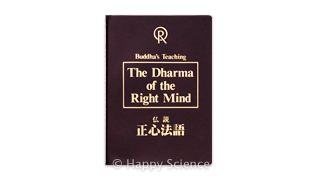 “The Dharma of the Right Mind” was inspired by Shakyamuni Buddha’s consciousness, and therefore has the power to purify our minds through the light of Buddha. This prayer has 10,000 times more power than the Lotus Sutra or the Heart Sutra of Buddhism. 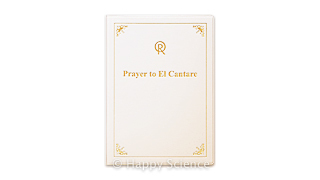 “Prayer to the Lord” is a prayer to express our gratitude to Lord El Cantare for giving us power, wisdom, love and light. It is a prayer for nurturing happiness not only for ourselves, but also of others. “Prayer to Guardian and Guiding Spirits” helps us to connect with our guardian spirit – the part of our own consciousness (subconscious) residing in the Spirit World. Through this prayer, we offer gratitude to our brother or sister soul for guiding and protecting us from the world beyond this one. 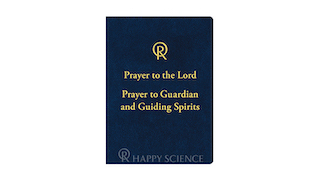 *The prayers, “Words of Truth; The Dharma of the Right Mind,” “ Prayer to the Lord,” and “Prayer to Guardian and Guiding Spirits” are included in the prayer book for the members. Those who want to pledge devotion to The Three Treasures: Buddha, Dharma and Sangha, will receive the full version of Buddha’s Teaching: The Dharma of the Right Mind, two powerful books of prayer: Prayer Book I and II, and Prayer to El Cantare. If you are interested in becoming a devotee member, please visit your nearest local branch, local temple or missionary center, where you will be able to apply for membership. The following four prayer books are able to receive by the Devotee members. This prayer book consists of eight prayers, such as the “Prayer for Recovery from Illness” and the “Prayer for Exorcising Evil Spirits,” which include ritual practices. 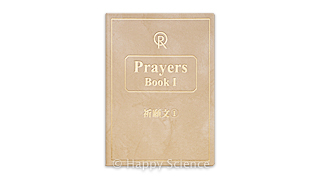 This prayer book consists of ten prayers that will help you realize concrete wishes such as wealth, harmony at home or academic success. 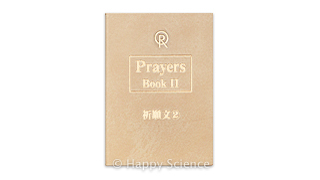 This prayer book is for the believers of Happy Science, to make pledges to live to contribute for the happiness of many people. If you wish to become a member, you can contact your nearest local branch, local temple or missionary center. Happy Science is a non-profit organization, so our main source of funding comes from the donations offered by our members and by the people who sympathize with our ideals. There are no membership fees, and donations are made voluntarily as an expression of their faith and gratitude to Lord El Cantare. People who make these donations understand the value of the Truth, and want to help spread the truth across the world. You can also offer by making time to volunteer in activities at Happy Science. Everyone has special talents and skills, and using them toward spreading the Truth is a wonderful thing and brings greater happiness to society. Members who gain wisdom through the experience of practicing our teachings can volunteer as “Doctors of the Soul,” to help those who find themselves in the midst of suffering and anxiety. People who have time and a place enough for it, can offer to hold meetings, meditation or study sessions until a temple of light can be built in a particular area convenient for some members. Financial support plays an important part as we live in a material world under an economic system. Donations can be made at your nearest local branch and temple, and missionary center, and does not require membership.